Does your confidence wax and wane depending upon the score in a game? How do you respond when you are losing late in a game? 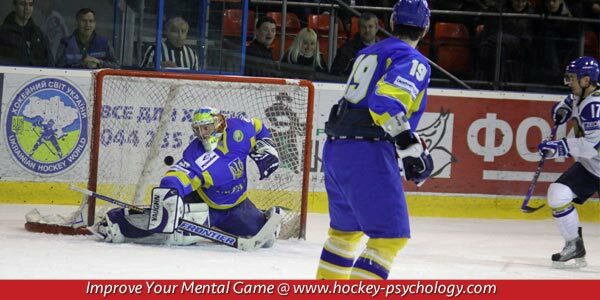 Your response to a situation is guided by your mental toughness in hockey. Your mental game can be your greatest asset or worst enemy. 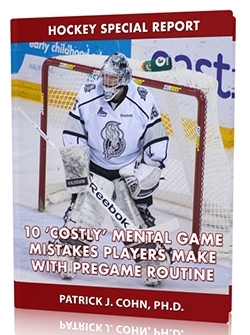 Your mental toughness in hockey can push you to greater heights when the game is on the line. Your attitude can provide that needed boost allowing you to reach down deep inside and find that extra effort and intensity to win. The Women’s Canadian hockey team has displayed a “championship attitude” throughout the last decade. Team Canada entered the Sochi Games having won 18 straight games at the Olympics including gold medals in 2002, 2006 and 2010. Despite Team Canada’s dominant past performances, they expected some strong competition from their rivals, the US team. The 2014 Olympic gold medal game against the US team was a true test of Team Canada’s mental toughness. The US took a 2-0 lead 2 minutes into the third period. With time dwindling down in the final period and the gold medal in jeopardy, the Canadian team responded by scoring with 3:26 remaining in the game. Team Canada was still behind, 2-1, with 55 seconds left in the game. With the game on the line, the Canadian team remained confident and pulled their goaltender in favor of an additional attacker… and attack they did. Canadian forward Marie-Philip Poulin scored the equalizer with less than a minute to tie the game, 2-2, and force a sudden death overtime period. The US team aggressively attacked at the start of the overtime period but the Canadian team maintained their never-say-die attitude and played with their signature composure and mental toughness. At 8:10 of the overtime period the Canadian’s attitude proved to be the deciding factor as Poulin scored a power play goal for the victory and the gold medal. You need to realize that comebacks are attained one play at a time. In other words, the only play that matters is the current play. You can only score one goal at a time, so focus on the process instead of the outcome. Know that the very moment a game is lost is when you believe you are defeated. Give yourself a chance to succeed by fighting until the end and trying to find a way to win.